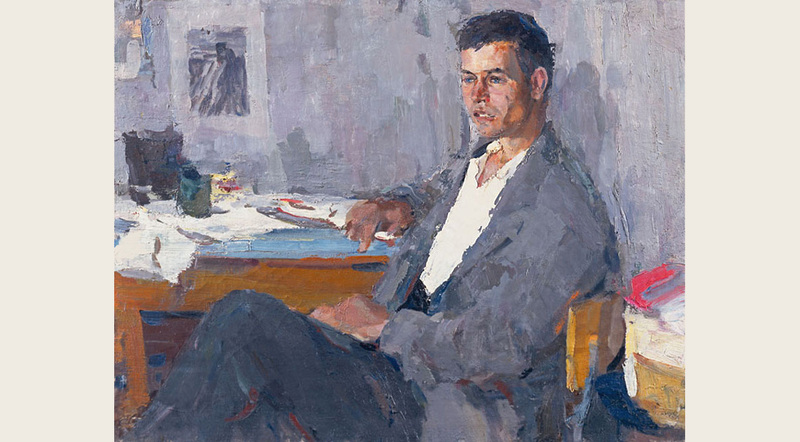 Peter Nazarov was born on December 25, 1921 in the village of Kochki of the Novosibirsk region. In 1956 he graduated from the Institute of Fine Arts named after I.E. Repin, the workshop of Rudolf Frentz. He studied with Peter Belousov, Mikhail Platunov, Valery Pimenov. Participant exhibitions since 1957. Member of the Leningrad Union of Artists since 1970. He painted still-lifes, portraits, genre and thematic pictures. He taught at the Leningrad Art College named after V. I. Mukhina (1970-1988). Personal exhibition in Leningrad (1981). The works of Peter Nazarov are in museums and private collections in Russia, the United States, France and other countries.